FLINT, MI – The Flint Police Department say they did nothing wrong in doing a criminal background check on the man who pushed recall efforts against Flint Mayor Karen Weaver. Flint Deputy Police Chief Devon Bernritter sent a reply to the Michigan State Police regarding a 90-day notice asking Flint Police to explain a Law Enforcement Information Network search also known as LEIN conducted on Arthur Woodson, the man who launched recall efforts against Weaver and is now seeking to be mayor. In an Oct. 14 letter to Dawn Brinningstaul, director of the MSP LEIN division, Bernritter said the background check on Woodson was conducted during a fraud investigation regarding Woodson’s recall efforts. In July 2017, the Flint Police Department issued a press release saying they were looking into complaints that petitioners helping gather signatures for recall efforts to remove Weaver from office were misleading petition signees. Woodson turned in nearly 9,000 signatures to have Weaver removed from office. Those signatures were whittled down to an estimated 6,000 after Weaver filed an appeal fighting Woodson’s effort. Woodson needed 5,750 valid signatures for the process to move forward calling for a mayor’s race in Flint with 18 people including Weaver and Woodson vying for the mayor’s seat in November. So far, details have not been released regarding the ongoing recall investigation due to Flint Police Department policy. 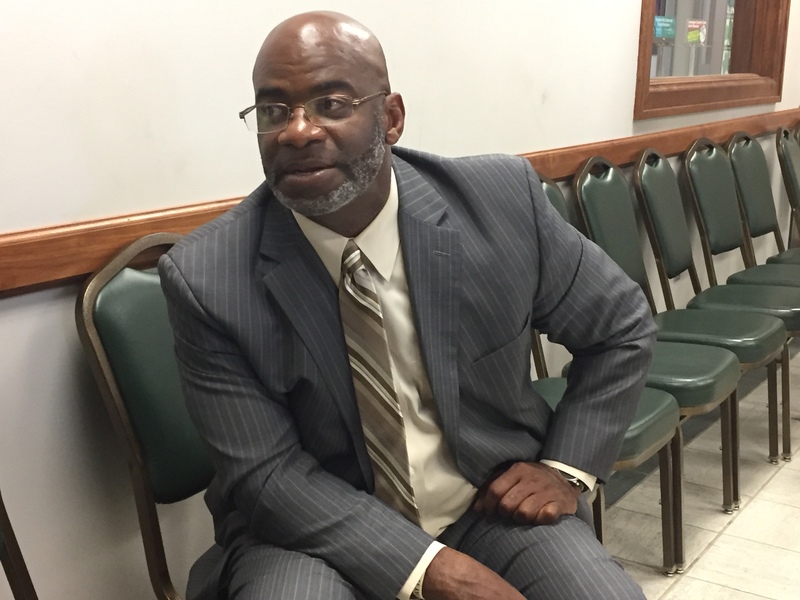 MSP officials confirmed on Oct. 10, 2017, that they were investigating an August 2017 complaint submitted by Woodson saying someone may have conducted an unwarranted LEIN search on him within the Flint Police Department. Woodson’s emailed complaint to MSP said he got word from an unnamed Flint Police officer that someone conducted a LEIN search on him. The LEIN System is used by law enforcement officials to run various background checks. Prior to running a check a law enforcement official must enter their information and have a valid reason to run the search. Information or misuse of the LEIN System is described as accessing, using, or disclosing nonpublic information or personal use or gain and disclosing nonpublic information in a manner not authorized by law or rule. Flint Police Chief Tim Johnson said he was not aware of an investigation during an Oct. 10 interview but according to Bernritter’s reply to MSP the notice was dated Oct. 3 but not postmarked until Oct. 9. The “weaver” could not find any means to stop the recall needed, on her. Therefore she pulled another one of her controlling finger in their backs, to push her selfish way.